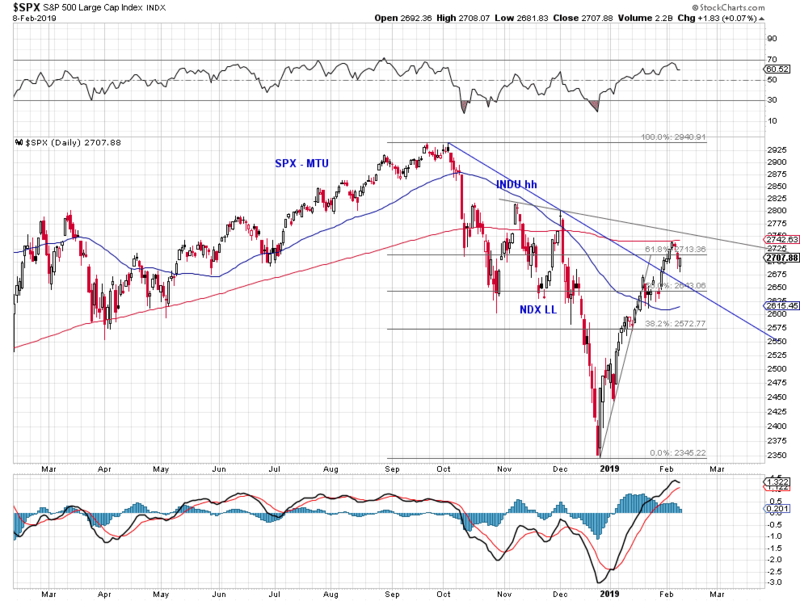 The advance in SPX since late Januarary has been accompanited by negative divergence and weaker momentum. 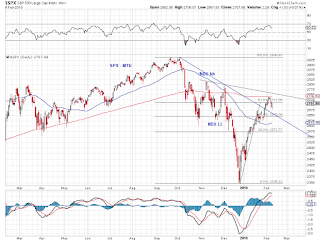 SPX finally turned town at it's 200D SMA (Chart 1). 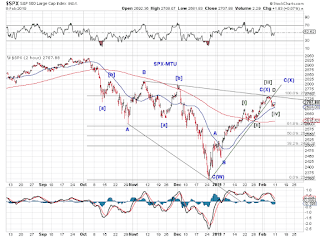 The rebound since the December low is best tracked as a three-wave structure, which is consistent with a number of larger-degree structures since the all-time high (Chart 2). 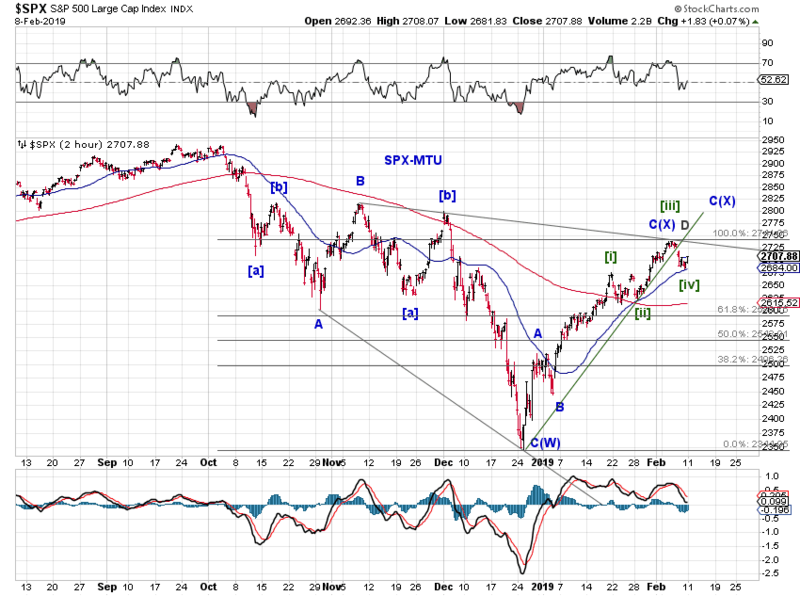 An overlap with the green [i] in Chart 2 would increase the odds of a reversal.